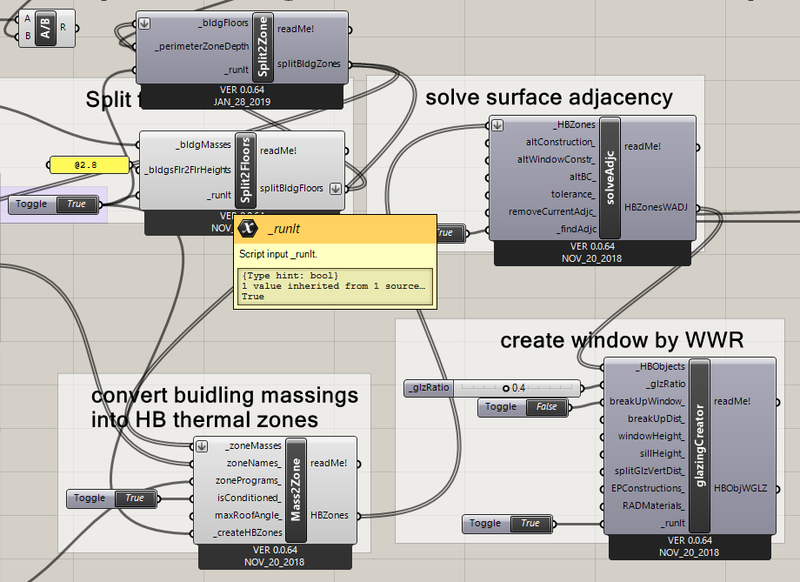 Thanks the developers for creating such a convenient tool for energy simulation. I would like to report a problem with the splitting zones function. I have updated the honeybee to the latest version and when I would like to split the square building mass into thermal zones, it cuts through the entire footprint and creates internal windows as well. This is similar to the problem someone asked last year “Problem with SplitFloor2ThermalZones”. I would be much appreciated if someone could help. Thanks. If I remember correctly @SaeranVasanthakumar has addressed this one before. He should be able to help you with this question. I’ve been unable to reproduce the error. Can you attach a grasshopper file with your problem? One more thought. Given that it’s creating internal windows, even after (I assume) you’ve run the solveAdjacency component, this may be an issue with tolerances and model units. It’s best to work in a Rhino model with units set to meters. 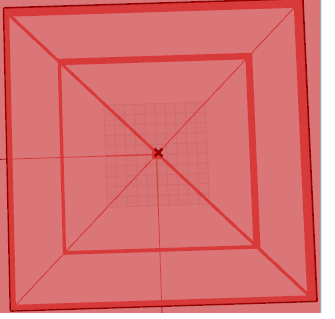 Sometimes tolerances issues persist even when you resize the model in Rhino, so I’ve found the safest method to work with a resized model is to copy and paste the geometry (if any) into a new Rhino document. Thanks @SaeranVasanthakumar. The Rhino unit is set to meters and I have run the solveAdjacency component. Can you elaborate more on the part of “copy and paste the geometry” part? Thanks again. In the past, I’ve noticed that if I change my units from Feet to Meters in Rhino, I still have conflicts with my solveAdjacency splitZone components - if I am referencing Rhino geometries in my Grasshopper script. One solution I’ve found is to simply open a new Rhino document with default units set to Metric, and then copy and paste my Rhino model into that model. If this doesn’t describe your workflow, you’ll need to upload your GH script for me to help out further, since I can’t reproduce the issue. For users checking this thread in the future: @Ivanita and I investigated this further and the error is a result of using Rhino 5. So the solution is to update to Rhino 6.